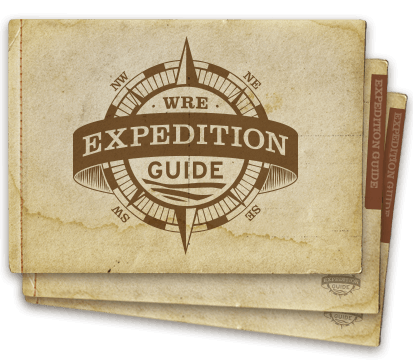 Covering the same 100 miles on the Colorado River through Cataract Canyon as the 4 Day Expedition, but in half the time, the Express adventure is perfect for those wanting to pack a lot of adventure into the shortest time possible - perhaps allowing you to extend your adventure while back in Moab before or after your river trip. Moab is known as the "Adventure Capital of the West", so the options for adventure are nearly endless. Check out the variety of activities available at Western River's Moab Adventure Center to add to your travel itinerary. 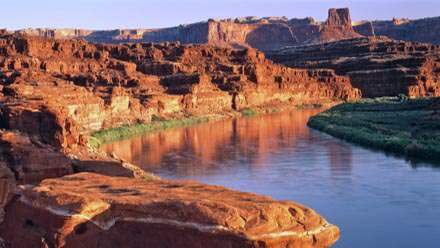 After a short morning drive from Moab, Utah you'll launch your raft onto a calm section of the Colorado River. Within minutes, unmatched geologic wonders will tower all around you providing a complete and welcome escape from the world you left behind. You'll encounter Native American ruins and writings and hike to awe-inspiring vistas atop plateaus. Around mid-day, you'll savor a scrumptious buffet lunch at the river's edge. As the canyon deepens to over 2,000 feet, you'll experience the exhilaration of nearly 30 whitewater rapids including Capsize, the Big Drops, the Mile Longs, Little Niagara, Satan's Gut and Repeat. After a full day of unforgettable memories, you'll find the perfect riverside respite as we camp along the Colorado River. Enjoy a delicious sunset dinner, perhaps relax beside a crackling campfire, and star gaze as you're lulled to sleep by the rhythmic sounds of the river. As you awake to the smell of freshly prepared breakfast, you'll lie in your comfortable cot and marvel as the morning sun paints its warmth across the surrounding canyon walls. After breakfast, you'll set off for one more day of Colorado River rafting. Depending on your camp location, you may experience more thrilling whitewater and you'll definitely have some final time to relax as you float amidst the shadows of striking red rock spires. After reaching Lake Powell, you'll return to Moab via ground shuttle. You may choose to have a Moab area shuttle company shuttle your car to the ending point of your trip where you may continue elsewhere or return to Moab on your own (3.5 hr drive). Add it before or after your Cataract Express trip, but be sure to make the most of your stay in Moab by extending your Adventure with us. 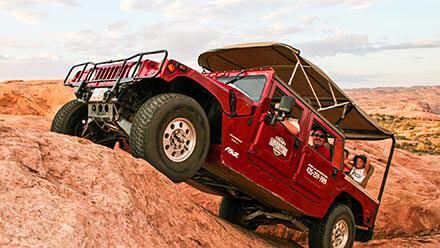 Western's Moab Adventure Center is your one stop for any adventures you'd like to add to your itinerary. OPTIONS C -Z: The sky is literally NOT the limit with these adventure possibilites... We've got Hot Air Ballooning, Scenic Flights, Ziplines, Canyoneering... Call us and we'll help you decide! The first morning of your trip, eat breakfast, then meet at 7:30 AM in the lobby of Marriott SpringHill Suites, Moab (1865 N Hwy 191, Moab, UT, 435-355-0042). 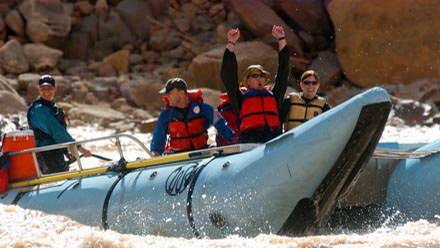 You'll take a short bus ride to the Colorado River location where your rafting adventure begins. You will likely want to reserve at least one night of lodging on the final day of your trip as you'll return to Moab around 4:00 PM. If you will be traveling on but wish to shower before leaving Moab, we can direct you to several locations in town that offer shower facilities. Curious what else you can add to your vacation itinerary in world famous Moab, Utah?